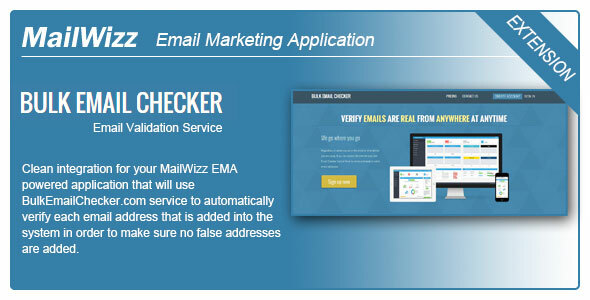 Clean integration with BulkEmailChecker.com for your MailWizz EMA powered application! Once this extension is installed and enabled, each email address that is added into the system will be checked against the BulkEmailChecker.com service to make sure it is indeed valid. You can say goodbye to inactive or false email addresses.